I HAVE GSA, ULTMATE DEMON & SCRAPEBOX - What SEO Services Should I Offer With Them? I recently purchased some SEO tools such as Ultimate Demon, GSA and Scrapebox. I want to use this tools to start rendering SEO & BACKLINKS services both here and also on fiverr. Can you instruct me on how to get started? Such as the kind of gigs i can set up for this tools that wouldn't take me much time to complete using any of these tools. What type of seo services/gigs should i start offering with them? Please Your contribution is highly needed. You mean these tools does ZERO good on SEO world? They remain good, current tools, that thousands are using effectively. Ignore the negative posters, OP, just practice getting good at using the tools in a non-excessive manner (especially Ultimate Demon, use gingerly or in small doses). Try to set the options so as use numerous proxies, and set a low outbound link limit for the pages where the backlinks created (so the backlinks have better authority, and less spam). They remain good, current tools, that thousands are using effectively. You are in denial Melprise. Thousands more have gotten their sites slapped by link spam tools and it will only get worse. Despite your claims the only use of these tools is in tiered link building and Google is already working to limit the effectiveness of that practice. Can you gt a web 2.o here and there for link diversity? Certainly but learning to use these tools is not a good recommendation of time going forward. There are numerous "case study" SEO sites that report similar real world results for using methods that defy the Google official line. Tiered link building - we all know it. get over it you know no secret. Now do some sites still rank?? well sure my young apprentice. Google has to rank some sites - it can't show a blank screen for a search - so in really spammy niches where everyone is doing it and in some soft soap low competition serps you will rank for awhile but go read your own link - every few months matthew is checking and looking ove his shoulders because even he knows long term Google is a coming. It may come as a shock to you but there are people here who actually want to build a grown up business that can last not just trying to get some cash for xbox games. Every body who knows anything , and that include Matthew I bet, is building PBNs, and shifting to links within content on authority pages and news flash. PBNs are not the "google line". Two years ago this forum was filled with people talking up just like you and now almost all of them are re gone and a new set of newbs have moved in. Why? because they all cried a river when Penguin 1.0 launched and then they disappeared. Just like them if you hang around long enough I'll be handing you a hanky but I won;t be buying you any video games to compensate. Telling people they should offer SEO services of link spam to the public is just stupid and irresponsible. Kid I knew Matthew before he even had a site. Pick and choose your "case studies" all you want the evidence is overwhelming that only good use for link spam tools is tiered link building. We have your newbie type come around every few months claiming "if you know how to do it" and "constructed intelligently" all the time like you have some secret and its all a bag of nonsense. Of course, I was not suggesting "link spam" when I recommended the intelligent use of SEO software tools, nor link tiers as the only way to use them, nor that I had a 'secret,' despite your underwhelming attempts to put those words in my mouth. And I am not a newbie 'kid' but a middle-aged person who has been active in IM for years. It is precisely such false, browbeating,"manual SEO" cant that is being rebutted by confirmed, real world marketers in the SEO case studies I mentioned. I stand behind my comment. Anyone recommending GSA and Ultimate Demon as a source of quality link building is, by proxy, suggesting Link Spam. End of story. Actually its worse than that. he's suggesting to the OP he should offer it as an SEO business service to the public. Thats the kicker. I think your definition of intelligence, falls way short of my own expectations of intelligence. 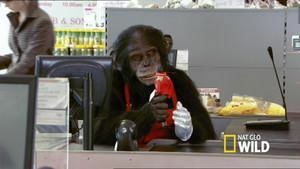 You see, just because the Chimp has the cognitive ability to choose from a sequence of equally rewarding variables. Doesn't really make him a rogue scholar in my book. No Bubbles you are not the next Einstein. All you have done is selected a group of tasks from a finite pool of postable platforms. The very same links and platforms that have Google disavow mailbox jammed to heaven. That same list that "you think" is unique. The ground trembles when I'm building a list. When the monkey decides to break that glass with the block. Grabs his swimming trunks and a case of Beer from the cooler. Steals a brand new BMW from the parking. Then takes those 3 med students testing him to the beach. Painting by numbers didn't make the cut. You've rebutted nothing except in your mind. Like I said google has to rank something and in some cases the niche is filled with spammy SEOs such as yourself. The idea that because oh my ...link spam works in one niche so the OP should go offering it to the wider public is too flawed in logic to make any rational claim to superior intelligence. GSA is a link spam tool. Plain an simple. I used it years ago and still have a licensed copy but that was years ago before penguin. Stop trying to junk up this forum more than it already has been junked up. No one who knows Google has sent out tens of thousands of unnatural link notices to webmasters and knows they are the same kind of links that GSA gives will buy your claims. they are more likely to die laughing that you think that one post on a tool affiliate's site makes the other thousands of "case studies" go away. Why would you build a business in front of a 3000 ton train headed in your direction? I do not want to get into the argument of whether or not these tools work for anything. I'll leave that for the rest of you. Here's the thing... If you have to ask the question of what services you should offer, you shouldn't be offering any. If you know GSA good enough, I am sure you will get some clients soon! Just be sure to check and try different options for best results! I just got a hammer and nails, and would like to offer Carpentry services here and elsewhere. Any advices? Voted worst thread idea of the week. Ok op, I'll take a shot. Offer to rank parasites with your tool set. I can feel the flames pointing at me already. Heat shields up. I think the Penguin 3 update said everything it needed to with negative SEO. you mean penguin 3 finally triggered the effects of negative seo attacks? I was actually shocked by reading the Title of this THREAD! Brace yourselves!!!!!!!!! Scrapebox can be used for a number of purposes. You can use it to find a list of good PR blogs , which accept comment not auto approved , but manual approval. You can sell this list to say limited lists of 50 people. They can you can place relevant comments on these blog, this still works tp get links and traffic. This is still an effective method. GSA and ultimate demon should be used with care, rather than blast thousands of links using them, use them as normal automation tools.